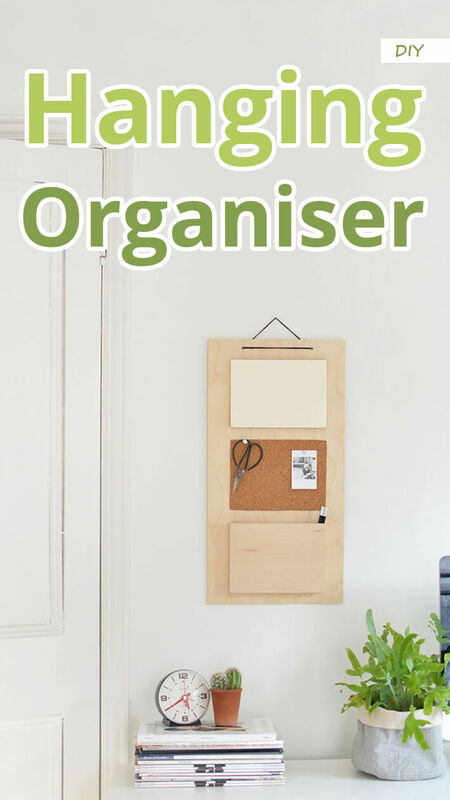 February is the perfect time to start afresh so I figured I’d jump on the tidy bandwagon and make an organiser! 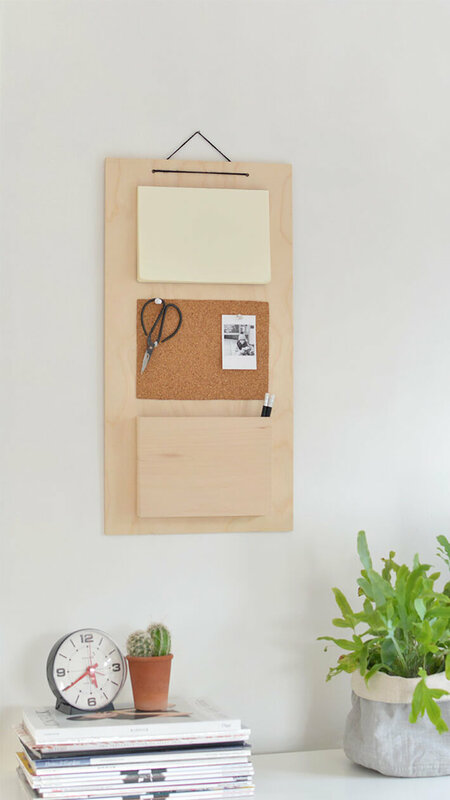 ideal for hanging in your office or kitchen to scribble down reminders (and store all those pesky pens that have a habit of hiding when you need them..) DIY – Hanging Organiser! 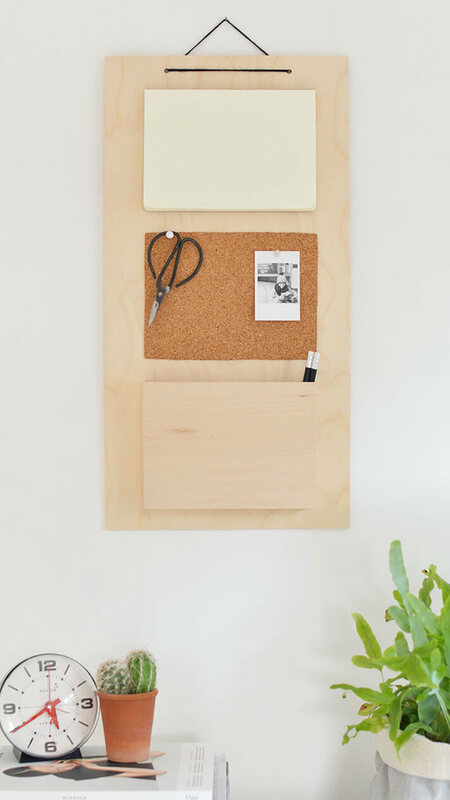 If you’re looking to de clutter your workspace read on and I’ll show you how to make your own! Take an A5 notebook with plain pages and cut off the cover using a craft knife -leave the spine intact so the pages don’t fall out! 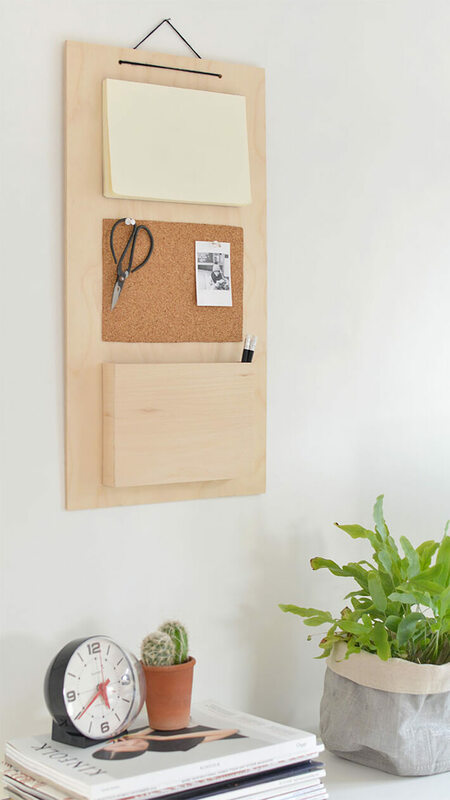 Lay the notebook and cork onto the plywood and measure where you want them to sit (mine were approx 3cm apart) mark the area with a pencil and cover with PVA glue. Stick down the notebook and cork and leave to dry! Next is the pocket- take a thin piece of baslsa wood and mark out 4 shapes. 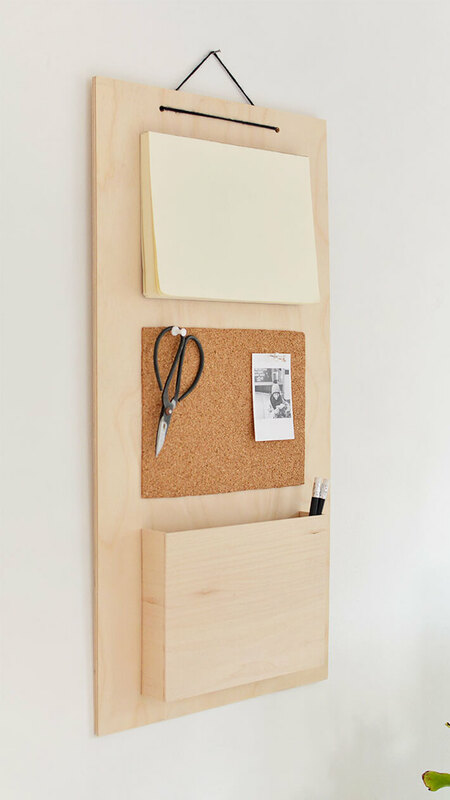 Cut them out with a craft knife and sand down the edges, carefully assemble the pieces you’ve cut using some wood glue. 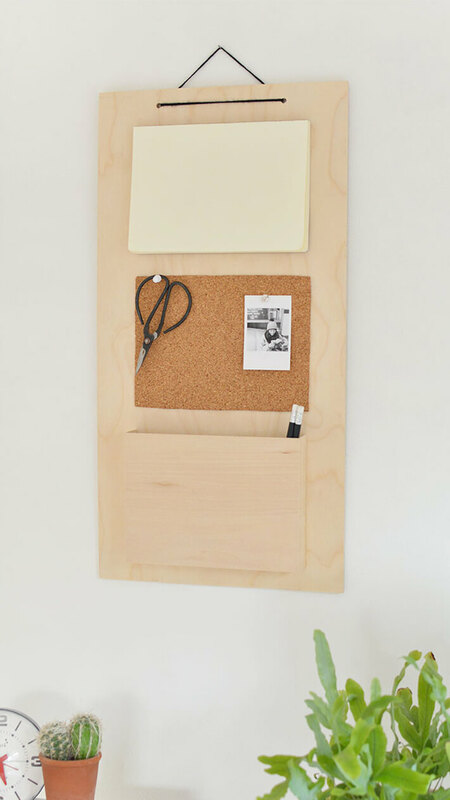 Leave the pocket to dry before gluing it onto the organiser. Take some leather cord or string and hang! What do you think- would you try making your own?